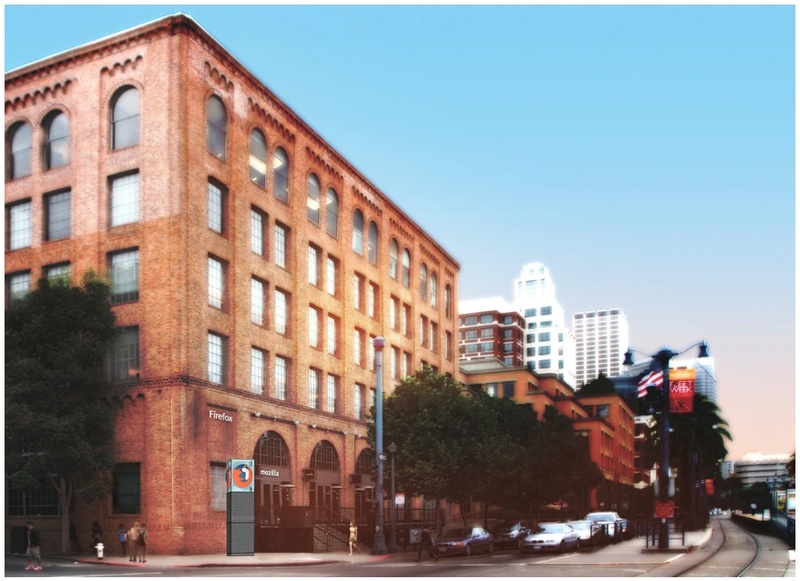 Add your name to the monument to Mozillians in San Francisco! Mozillians, imagine an awesome, fun, concrete way to show the world the thousands of people who contribute to Mozilla. The more the better! 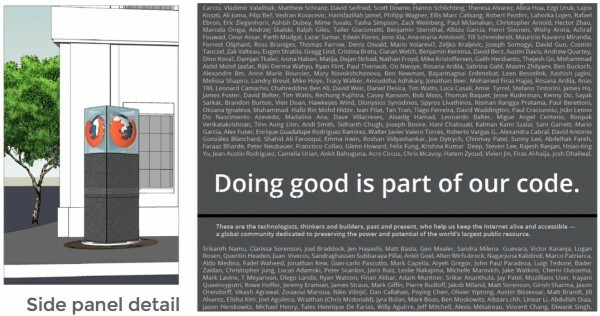 Your name can be added to a Mozilla monument, and we need your help to get the names of other Mozillians added too. That’s right, it’s true. We’re working to construct a 14 foot (4.26 meters) structure that will sit outside of our new San Fransisco space (check out the concept photos). Onto this monument, oh yes, we will attempt to include the names of every Mozillian. If you have a vouched mozillians.org profile, sign-in and click the ‘Join Group’ button on the SF Monument group page. Joining that group means you would like your name, as it appears on your profile1, to appear on our public art installation. If you don’t have a vouched mozillians.org profile or are unable to access it, fill out this form and we will help you get added to the monument. And while you are adding your name for the monument, we also encourage you to add your name to about:credits. It’s a great way to show the world you have contributed to Mozilla, and the easy directions can be found at the bottom of the about:credits page. We will include the names of contributors listed in about:credits, though you can opt-out by October 31. Just fill out the form below. Spread the word to Mozillians: We know there are many Mozillians, past and present, who will not see this post on their own. Please share this post with those people. We ask that contributors who do not have a vouched mozillians.org profile fill out this form and we will help them get added. 1 We are using the Open Sans font to print the names on the monument, so there are limits to which characters can be printed. Take a look at the characters available, and if your mozillians.org profile name is not printable in Open Sans, please email the characters you would like printed for your name to sf-monument@mozilla.com. Pleased as can be to be part of the mozillan tree , spreading the word & opening opportunities! I’ve already filled the application form but haven’t received an email yet. Is that mean that my request hadn’t been recognised? Lana, your request has been recognized. We are still reviewing the form submissions. We will contact you next week if we have any questions. I have added the group SF monument to my profile. Will i be getting an email saying that i am on the list to be on the monument or do i need to do anything else? Nothing else needed if you join the SF monument group. Thanks! I’m part of sf-monument group and I heard some people start getting en email saying their name is up on the monument. Did I miss anything or how can I verify that? Ali, I can confirm your name will be on the monument. Look for photos and a video to be shared in January! I have added my name into group but I can’t see my name in the credit page. How can we be sure if our name’s printed or not as I’ve given my name at around first week of November but in one of the blog found that name should be given before Oct 31. So giving names in November didn’t count in? Proud to be a mozillian 🙂 My name is on the monument.